Mr. Swarbrick took up the post of Auditor General in July 2010 and is responsible for the independent audit of government and its related entities. 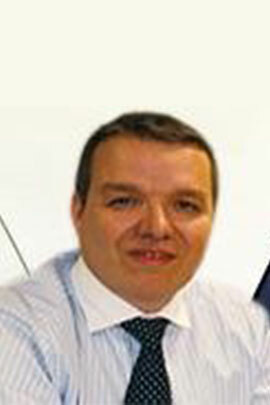 Mr Swarbrick has over 20 years of experience in public auditing. He began his career in the Scottish Office before moving to the Accounts Commission for Scotland where he completed his professional accountancy training in 1996, becoming a member of the Chartered Institute of Public Finance and Accountancy. Mr Swarbrick subsequently moved to the UK National Audit Office in London taking on various roles before returning to Scotland to work for Audit Scotland as a Senior Audit Manager, leading the audit of the Scottish Government, as well as a number of its agencies and health service bodies. Following promotion to Assistant Director of Audit, aside from his audit management responsibilities, he also led the Business Improvement Unit and was responsible for developing and managing projects to improve the way that Audit Scotland delivered its work. Mr. Swarbrick obtained his Master of Arts, Honours Degree in Economics at the University of Dundee and was awarded the Bowie Memorial Prize for the Most Distinguished Student in Economics. Mr. Swarbrick resigned from his post effective 31 September 2015 at which time Mr. Garnet Harrison became the Acting Auditor General.